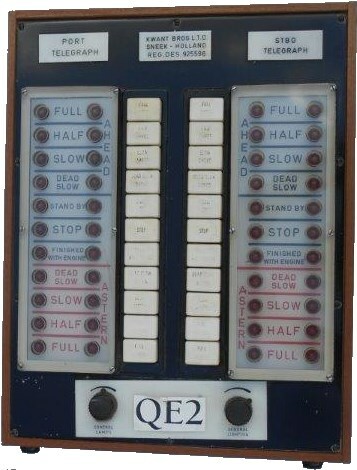 Lot 137 Cunard Lines - QE2 Bridge Telegraph Control Instrument. Contained within a wood case. Size 18" x 14".